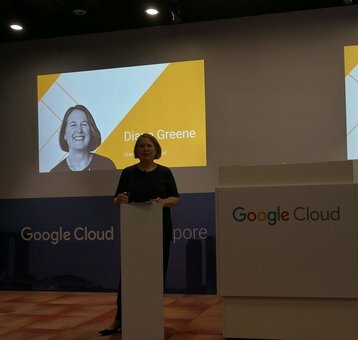 Google’s chief of Google Cloud, Diane Greene, opened a Google Cloud Platform (GCP) region in Singapore today. The new location is Google’s first region in Southeast Asia, and brings Google’s regional presence to three regions in Asia, promising to significantly improve latency and the option to keep data locally for customers here. 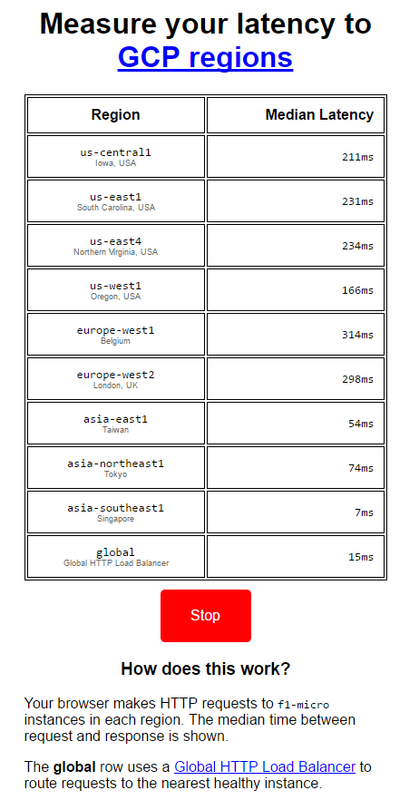 In Asia, GCP currently operates out of Japan, Taiwan, and Singapore. Some years ago, Google made initial moves towards building a data center in Hong Kong, but these did not pan out, reportedly because of the difficulty of buying additional land there. Google went on to build, and then expand, data centers in Singapore and Taiwan. The data center in Singapore has been in operation since 2015 for Google’s internal use. 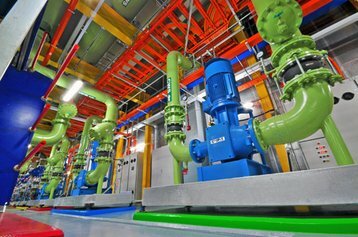 The addition of a second, larger data center in Singapore will allow Google to offer a more reliable service and increase the number of zones - although the second data center is being built right beside the first, against the conventional wisdom of building geographically separated facilities. To support its various online services and GCP, Google has also worked hard to establish substantial subsea cable capacity in the region. This began with its investment in the trans-Pacific submarine cable system Unity in 2010, and Faster, another trans-Pacific submarine cable between the US and Japan last year. This year saw the announcement of Indigo, which will connect Singapore to Jakarta in Indonesia with Perth and Sydney in Australia, while the Pacific Light Cable Network (PLCN) stretching from Hong Kong to Los Angeles is scheduled for launch in 2018. Indeed, of the eight named subsea cables shown by Google at the launch of GCP Singapore today, five of them either crisscrossed Asia, or terminates here. GCP Singapore was already available when we checked yesterday, before the launch, though some features such as Cloud Spanner and App Engine were not available. It is understood that both zones in the new Singapore GCP region will be run from Google’s existing data center in Jurong, which was also the company’s first multi-story data center in the world when it was built. The company no doubt incorporated the lessons learned to build other multi-story data centers in the US before return to Singapore with a second, larger, multi-story data center right next to the first. According to Google, a significant portion of the new building will be given over to running GCP when it is ready this year. This will likely be operated as a third zone, bringing the Singapore GCP region on par with the worldwide average of three zones per region. Considering Singapore’s well-established geopolitical stability and an absence of natural disasters, the adjacent data centers do make logical sense. Moreover, it also gives Google the unique ability to use practically infinite bandwidth between its servers at negligible cost, even as it takes Google’s long-term investment in its data center infrastructure in Singapore to US$500m. At the launch, DCD asked Greene how Google Cloud would persuade customers to migrate to its platform, given the wealth of alternatives. After all, competitors such as Amazon Web Services (AWS), Alibaba Cloud, IBM Softlayer, Microsoft Azure, and even competitors such as DigitalOcean have had years to establish themselves in the data center hub of Singapore. She may have a point on the relative sophistication of Google’s cloud offering. Based on prototyping and internal proof of concepts, Amit Dhupkar, the head of group technology at Singapore Post told us that Google Cloud edges ahead of cloud competition from AWS and Azure in areas such as machine learning, video and voice use cases. Other Google Cloud users have praised its higher levels of customization and granularity. Compute instances can be configured from one of a dozen predefined templates, or customized from the ground up with the ability to specify the precise number of CPU cores and RAM desired. This flexibility gives users the ability to trim down on excess capacity, noted Jordan Dea-Mattson, the vice president of engineering at Singapore-based startup Carousell. The organization currently runs its core operations on GCP, and Dea-Mattson explained how the engineering team opted for GCP against “significant pressure” from investors after a thorough evaluation. “The ability of GCP to control the knobs and figure out exactly what you need is something just not available in other places,” he said. The presence of GCP in Singapore will open more options for organizations both big and small, allowing them to innovate and more readily access new cloud-based technologies. “GCP is fundamentally about letting us stand on the shoulders of giants. And the opportunity for us to build on that, to leverage stuff like machine learning [that Google] is driving, is exciting. That’s why we are excited about GCP,” said Dea-Mattson. “Google is dead serious about the cloud. We are dead serious about bringing our advantage to every student, startup, and every corporation, be it small, medium or mega. Google is dead serious about Southeast Asia. And with the opening of the Singapore platform, we are now right next door,” said Greene. Hear more about data center site selection and various regional opportunities in Southeast Asia at the DCD>Zettastructure conference in Singapore later this year. This conference will gather 1,500 senior IT and data center professionals at Marina Bay Sands Singapore on 20-21 September, as part of SE Asia Datacenter Week. More information on the multi-track conference program and the expo can be found online and requests for information can be directed to Stephanie Chiang.